Though he is of Native American descent from the Thunderfoot tribe, he was actually born in Mexico on a reservation far from his ancestral homelands. That was because they were stolen from him by M. Bison and his ruthless organization Shadaloo. 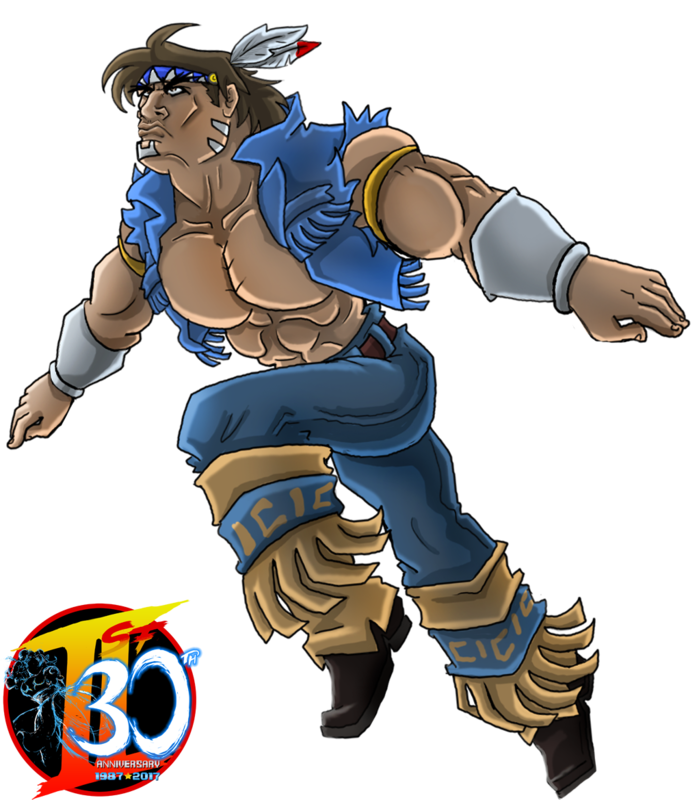 T. Hawk now craves to bring his tribe back to his homeland by entering the 2nd World Warrior’s Tournament and beat Bison and Shadaloo once and for all. So like Guile and Chun Li, T. Hawk’s strife with the main boss M. Bison is personal. When he apparently succeeds in taking out M. Bison, his ending shows T. Hawk returning to his beautiful homelands with high hopes of rebuilding it and resettled by his people once more. Unfortunately time has not been kind to T. Hawk as his return in future installments introduced him to another more personal problem. It seems along with his land, Shadaloo also took his girlfriend Julia away and brainwashed her into becoming one of Bison’s Dolls. Even when she was inevitably rescued, she was left a former shell of herself with an ambiguous future ahead of her as T. Hawk hopes to return her to her normal self. 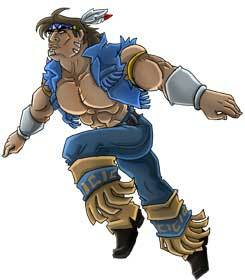 When he debuted in Street Fighter II, T. Hawk quite literally towered over his competition. He was the tallest warrior at that point; even larger than Zangief and Sagat! In later installments, Hugo would edge him out of his number 1 spot. But perhaps what is taller than T. Hawk himself is his pride. Luke the Ripper from Poland is on board since we started in 2011 and drew Geese Howard from Fatal Fury as his first contribution to one of our art collaborations. 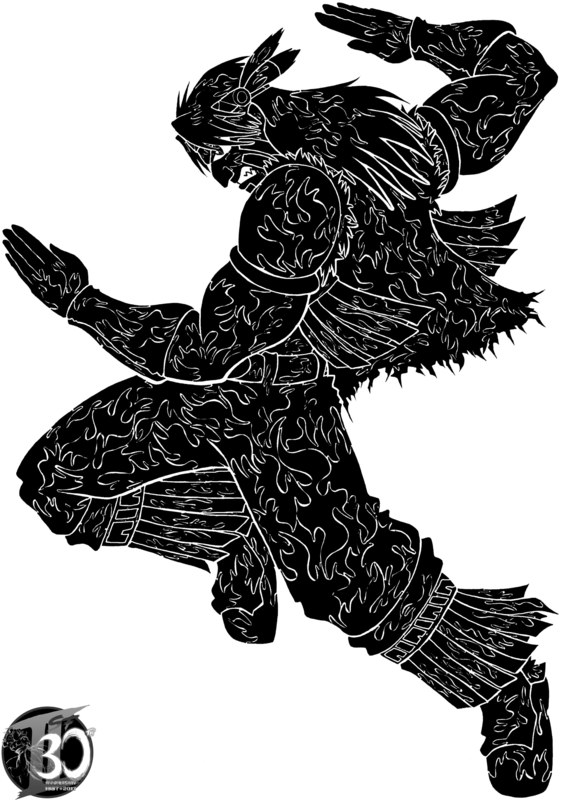 In the time between November 2011 and February 2017 he created many artworks in his special style ranging from Legend of Zelda bosses up to pretty unknown older fighting game characters. 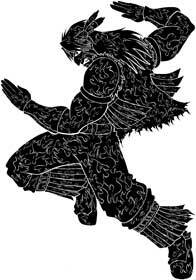 His take on T. Hawk greatly magnifies his unique dark style; portraying the hidden rage within the Native American warrior! Have a look at his whole gallery on deviantART here!